Hello! Today I'm back with another Born Pretty Store review. This time I have another one of their holographic polishes (see my swacth of the green here), as well as one of the new stamping plates. I paired the two together in an attempt to create a mani suitable for Valentines Day. Here is what I came up with. Read on to find out more! 'Dreams Girl' is a soft pink holographic (item #35873, online here). The formula is so smooth and easy to apply, and the polish stays exactly where you put it. This is easily opaque in just one coat. I added a second out of habit and to make the colour a bit richer, but it wasn't necessary. Below is two coats and topcoat. Here's a quick look at the stamping plate - Panda BPX-L015 (item #38221, online here). I used the plate to make decals on my mini Ubermat. I used the small panda heads with love hearts for my index and pinky fingers, and the large panda holding a heart for my ring finger. I stamped using Hit The Bottle 'As Black As Night', and coloured in using Hit The Bottle 'Snowed In' and Barry M 'Bright Red'. After applying the finished decals to my nails, I sealed them with topcoat. What do you think? I think the pandas are adorable! If you are a panda fan, you definitely need this plate - it has a nice variety of images, and I had no issues picking them up. As for the polish, I love it! I was really hoping it would be as good as the green I'd previously tried, and I wasn't disappointed. I'm going to continue towards my goal of owning every colour. That holo is really HOLO! and those pandas are so adorable :D Love it! I liked the panda bear it's so cute, but i'm a cat lover! OMG - those pandas are so freaking adorable! I want to squish it's little fluffy cheeks! Awww! 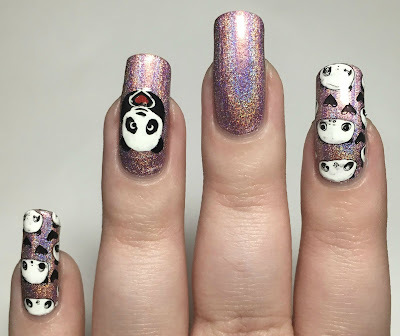 Those pandas are sooo kyoot! Aww, how cute are those pandas? 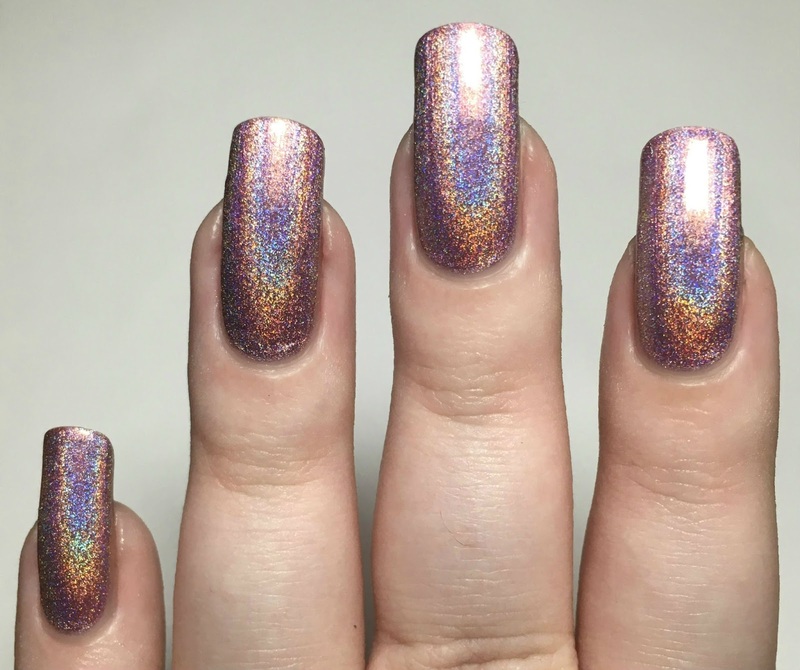 I'm loving that holo polish as well. 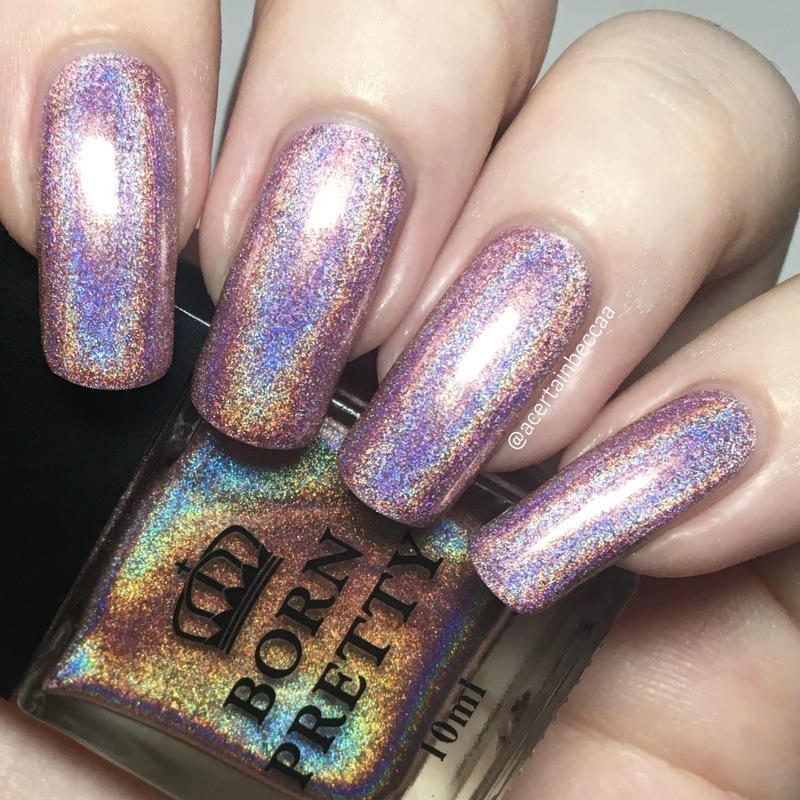 I really need to try out some of the BPS holos. 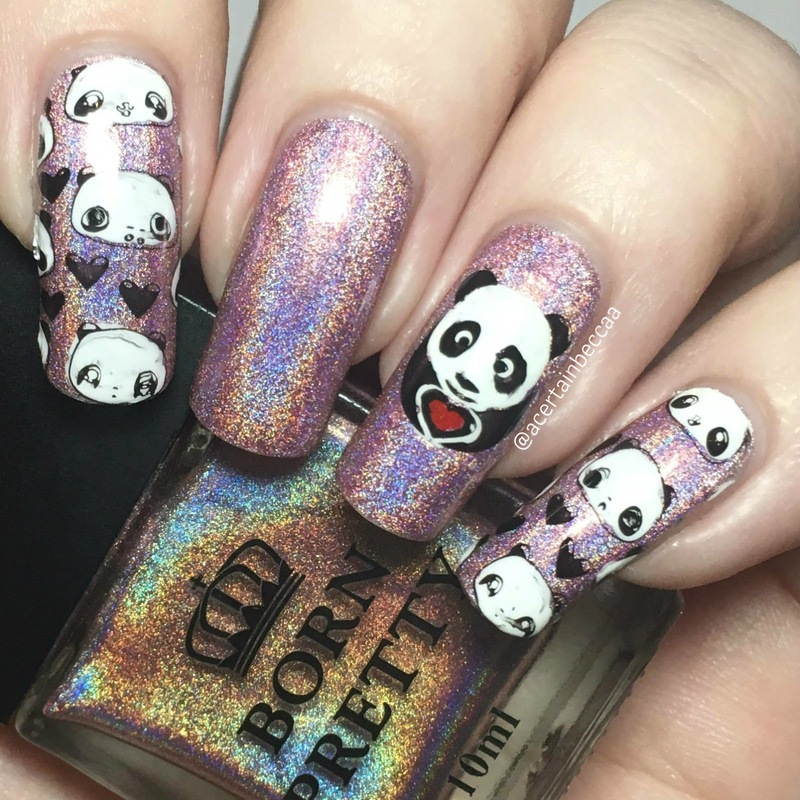 Wow, pandas over a holo! Now that's something I haven't seen before, haha! AHHHH! Those pandas are just too precious! I can't get over how cute the pandas are! BP has some of the cutest plates!